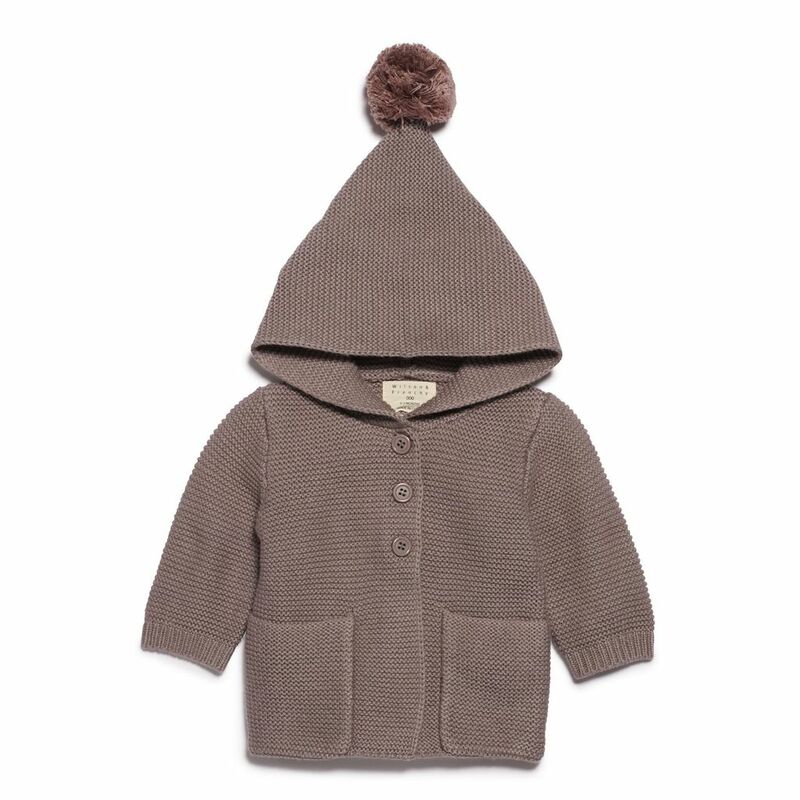 Made from the softest blend of cotton, bamboo and wool our little knitted smoke grey jacket with hood is the perfect for keeping your little one warm and cosy. Gorgeous contrast pom pom with functional pockets and front button down opening. Machine washable.